SWEEPER’s main objective is to put the first generation greenhouse harvesting robots onto the market. Until now this has never been achieved and it will ensure Europe’s leading role in agricultural robotics. You can find answers to frequentlly asked questions about the project on this Sweeper FAQ page! In modern greenhouses there is a high demand to automate labour. The availability of a skilled workforce that accepts repetitive tasks in the harsh climate conditions of a greenhouse is decreasing rapidly. The current state of the art in automated harvesting of fruits and vegetables has remained remarkably stationary in the past decades. In the EU-FP7-project CROPS (www.crops-robots.eu) extensive research has been performed on agricultural robotics. 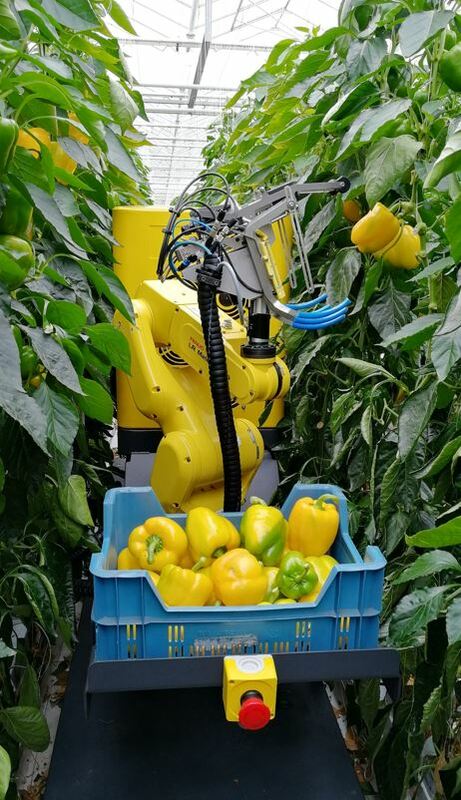 One of the applications was a sweet pepper harvesting robot. 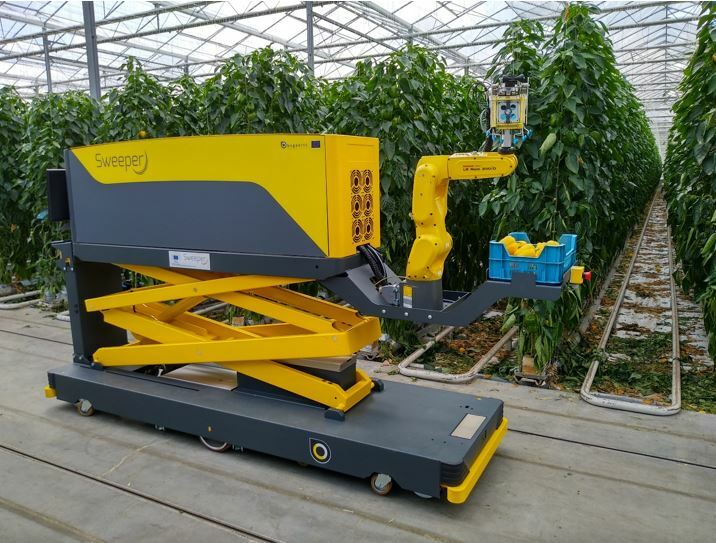 SWEEPER will use the technology developed in CROPS to introduce, test and validate a robotic harvesting solution for sweet pepper under real-world conditions. The project involves 6 partners from 4 different countries (The Netherlands, Belgium, Sweden and Israel). The consortium consist out of fundamental and applied research organisations, a system integrator and a modern grower of sweet pepper. In the consortium a wide-range of disciplines are available, including: horticulture, horticultural engineering, machine vision, sensing, robotics, control, intelligent systems, software architecture, system integration and greenhouse crop management. After the first demo event on 4th of July 2018, a new video was released. Also, the presentation handouts are available. The SWEEPER consortium collaborates with the interdisciplinary H2020-project REELER. REELER aims to assure collaboration, comprehension and acceptance of SSH research-based knowledge about distributed responsibility, ethical and societal issues relating to robotics. Please visit the contact page if you like to get in contact with us.